- Supported Devices: All current iOS devices. - Firmware: iOS 10.x, 9.x, iOS 8.x and iOS 7.x. (Support for iOS 6.x is now discontinued). - Language: English, French, German, Italian, Spanish and Arabic (Please contact me if you wish to help localize SD+ to your native language). - A "File Download Manager”. - A "Video Downloader" for popular video websites like Youtube, Vevo, Dailymotion, Vimeo and China’s popular Youku. It's like having "Safari Download Manager", "Protube" and "Bridge" all in one package for a fraction of their combined price, giving you an all in one solution for all your downloading needs and media related activities. - Pause and resume your downloads. And even when a download fails or you turn off your device, you can go back and resume any unfinished downloads. - Provides a convenience and accessible switch to quickly toggle Safari Downloader+ On/Off simply by holding and swiping away on the "Downloads" icon. - A large and fully customisable list of supported file types. - Control the number of concurrent downloads in the queue. - Badge notification to denote number of downloads in progress. - Save downloads anywhere within the "mobile" (/var/mobile) directory. - In app previewing of common file types (iWork, Microsoft Office, RTF, PDF, Images, CSV…). - Import supported Media (Audio/Video) to a wide range of destinations. - Supports Private browsing mode. - Download YouTube, Vevo, Dailymotion, Vimeo and China’s Youku videos for offline viewing (other sites are periodically added). - Discreet sliding panel with quality options controlled by a convenient draggable button. - Large and beautiful Retina icons fully adaptable to iPhone and iPad display. - Supports both portrait and landscape device orientations. 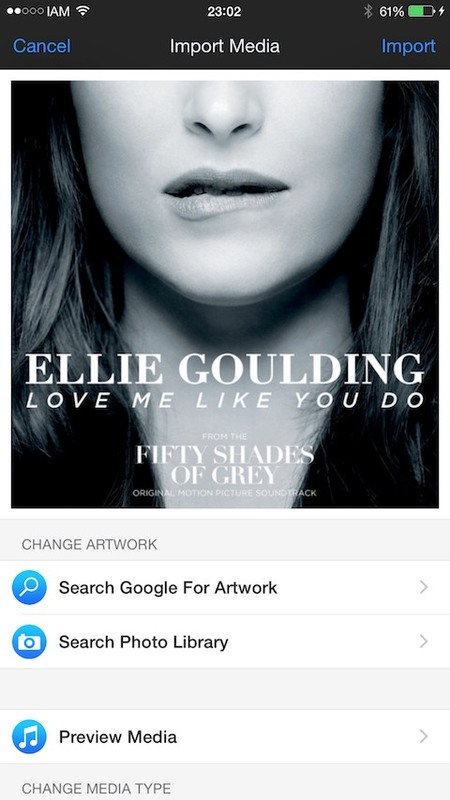 - Freely modify your media's Metadata with support to search for a specific album artwork. - Media Importer supports 3G/LTE and WiFi modes. - Ability to import multiple files in one go to the same destination. - Configure options from within the “Settings” app as well as within Safari app. - Please use twitter to request new features, report bugs or simply to leave a comment.